The symptoms of PTSD can greatly interfere with many aspects of a person's life, and as a result, a person with PTSD may need to engage in a good amount of problem-solving throughout their daily life. When people are faced with problems, they may begin to feel overwhelmed or experience worry about the future. They may feel stuck and not know where to begin in addressing the problem. These experiences may be worse for someone with PTSD who already may be experiencing a tremendous amount of stress and anxiety. Problem-solving is a basic coping strategy. Problem-solving is also a structured approach to addressing a problem and can lead you to the best solution to a problem. When done correctly, it can help someone experience a greater sense of control and predictability with regard to a problem. As a result, stress and anxiety may be reduced. There are five steps to problem-solving. To address a problem, it is very important to follow the below steps. Identify the Problem: The first step in solving a problem is to recognize what the problem is. This might sound like common sense; however, this is a very important step. Try to describe the problem as objectively as possible, as opposed to focusing on the potential consequences or implications of the problem. This can give you a better sense of what you are specifically dealing with. Define and Analyze the Problem: In this step, you will want to figure out what caused the problem, what the problem looks like at this moment and the urgency of addressing the problem. In this step, you want to also learn as much as you can about the problem. Be flexible in your approach. Do research on the problem. Look at the problem from a different perspective. Evaluate all of the different ways in which the problem could impact you. Generate Potential Solutions: Here you want to brainstorm and come up with as many solutions as you possibly can for the problem. Be creative and don't concern yourself at this point with how feasible the solutions may be. You want a number of different options to choose from. This process of generating solutions can also help you look at the problem from multiple perspectives. Keep in mind that it may be impossible to address all areas of a problem. When this is the case, break the problem down and try to generate solutions for parts of the problem (as opposed to the problem as a whole). It may be necessary to seek out help with this part of solving a problem. Decision-Making: In this step, you want to evaluate the solutions you came up with in step 3. Weigh the short- and long-term pros and cons of each solution. In addition, in this step, you want to start to evaluate how feasible each solution is. That is, how easily can you implement the solution to the problem? Implement a Solution and Evaluate its Success: In this final step, you want to choose a solution and implement it. Take action. In choosing a solution, you want to weigh the pros and cons of each potential solution, and it is generally a good idea to start out with a solution that is associated with low risk and that is compatible with your priorities and future goals. Once you have implemented a solution, evaluate how it was and was not successful. If the solution did not completely address the problem, you can then move back through some of the different stages to address other areas of the problem. Problem-solving is a basic coping strategy that can be very effective in managing different sources of stress. 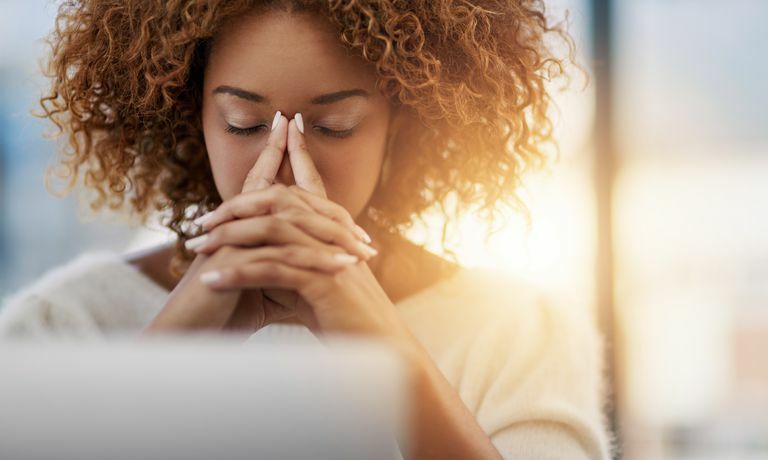 As with any coping strategy, it may be important to combine it with other coping strategies, such as anxiety reduction techniques or skills for setting and managing goals. By taking the above steps, you may be able to reduce your level of stress and maximize your effort in addressing problems in your life. As with any coping strategy, it is best to practice this skill first with a very basic or non-threatening problem. This way you can get comfortable with the steps before you use them with more complex problems. Dobson, K. S. (2010). Handbook of cognitive-behavioral therapies. New York, NY: Guilford Press. Nezu, A. M., Nezu, C. M., Friedman, S. H., Faddis, S., & Houts, P. S. (1998). A problem-solving conceptualization of coping: Theory, research, and relevance to cancer. In A. M. Nezu, C. M. Nezu, & S. H. Friedman (Eds. ), Helping cancer patients cope: A problem-solving approach (pp. 29-68). Washington DC: APA.